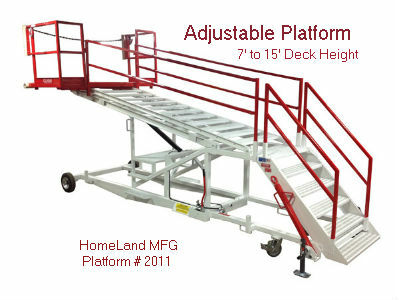 Adjustable Maintenance Work Platforms with HUGH work decks are hard to find. This 15F2011 series also has a 500lb cap. and Heavy Duty Casters. 84" to 180" Deck Height Range. The 15F2011 4’ x 7’ maintenance platform deck with sliding handrails can be positioned to any height in its range by means of its self-contained hydraulic system. 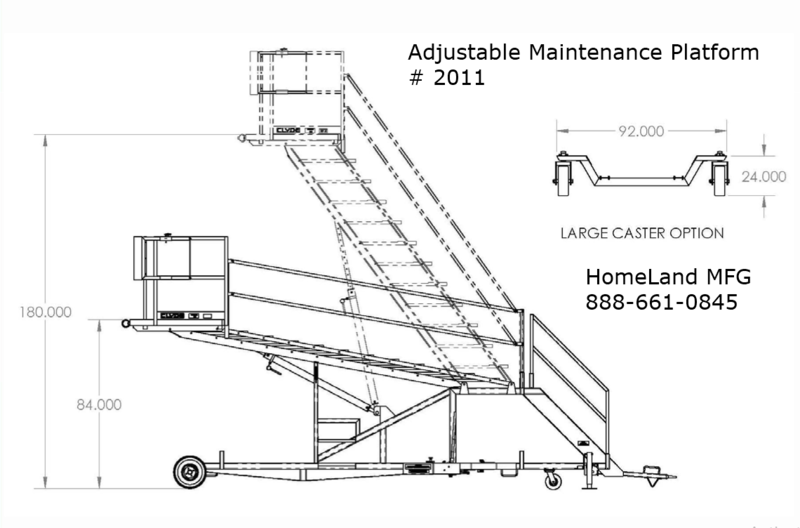 Articulating Steps stay 'flat' at any deck height.